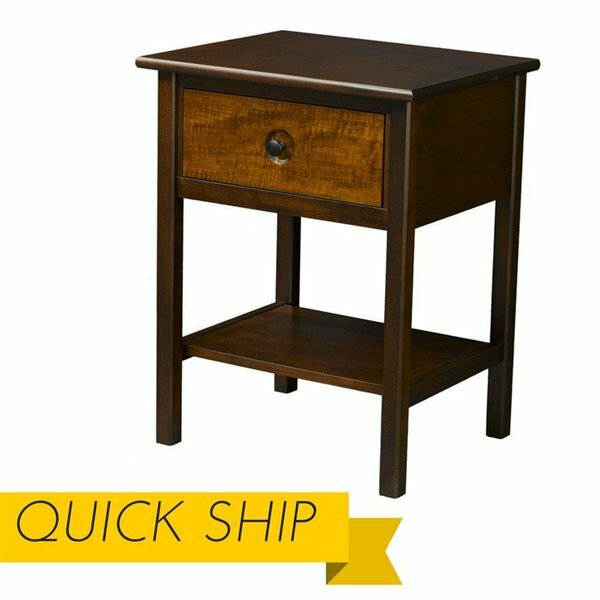 In-stock and ready to go to the finish shop with your preferred stain, our Chesapeaka One Drawer Nightstand will be there in a pinch. Complete with one deep drawer, a spacious top, and lower open shelf storage, you're sure to have plenty of room for your nighttime essentials in this beautiful case piece. Crafted in solid brown maple for the case, and tiger maple for the drawer front, this gorgeous nightstand is built with enough integrity to serve you for a lifetime, and continue on for generations to come. 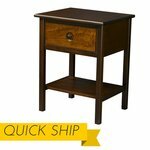 Add to any collection or shop our entire quick ship Chesapeaka options to craft an amazing bedroom suite.